The chronicles of my life since the day I was born! How's Mimi? We are in Fort Wayne this week for a wedding on Saturday. 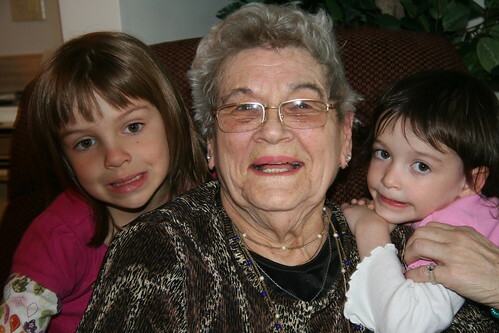 One of our first visits was with Mimi, the girl’s great grandmother. This is the only great grandparent the kids have remaining. It is great that they are able to spend sometime getting to know her. 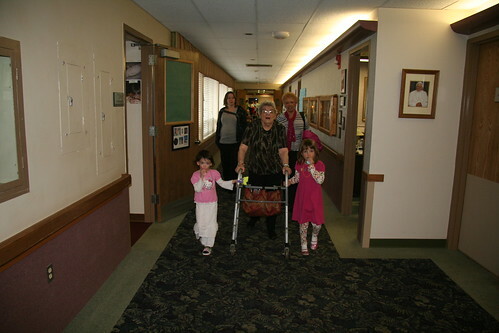 The girls walked Mimi to dinner and were very interested in holding onto the walker and helping Mimi along. We just let the camera roll for a while in her room to capture some of the visit. Mimi Visit Spring 2009 from Brandon Fuller on Vimeo.